First time on the market! 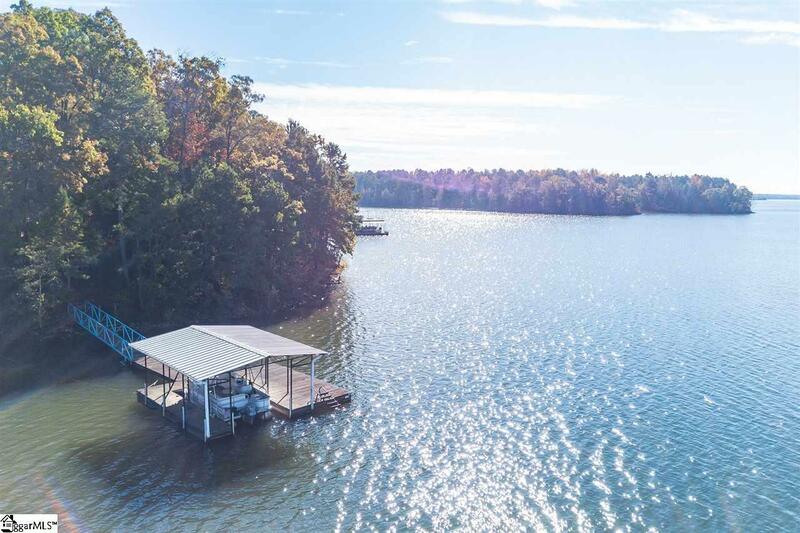 This Lake Hartwell waterfront property consists of a beautiful point lot This is an excellent spot with great year-round water depth, located on a quiet dead end street less than half a mile away from the nearest boat ramp (Apple Island). A 26'x24' covered dock with a 60' gangwalk is in place, and the shoreline is equipped with permanent stairs to enable access to the dock at lower water levels. 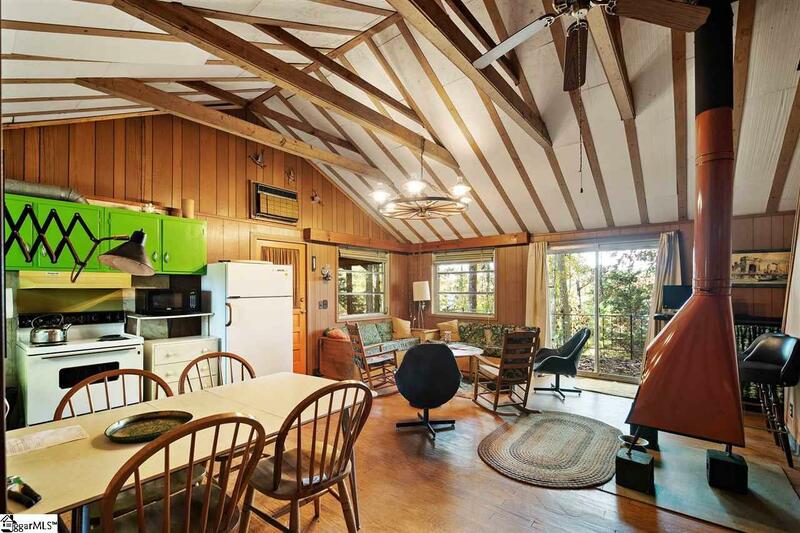 The cabin itself has an open living area and kitchen with vaulted ceilings and an eye catching retro orange wood stove, which gives the space a cool midcentury feel. 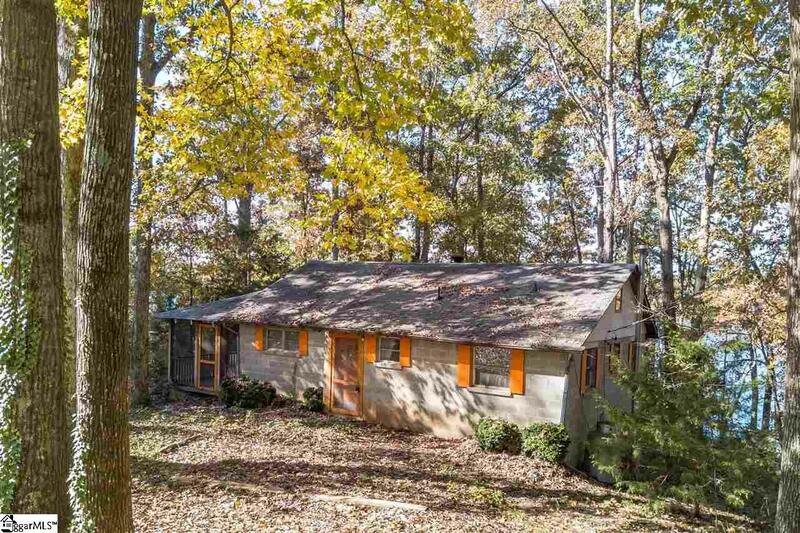 A screened porch is located on one side of the cabin, and a balcony faces the lake. Below is an unfinished walk-out basement, which has a roll up garage door - a great workshop or place to store your lake toys. 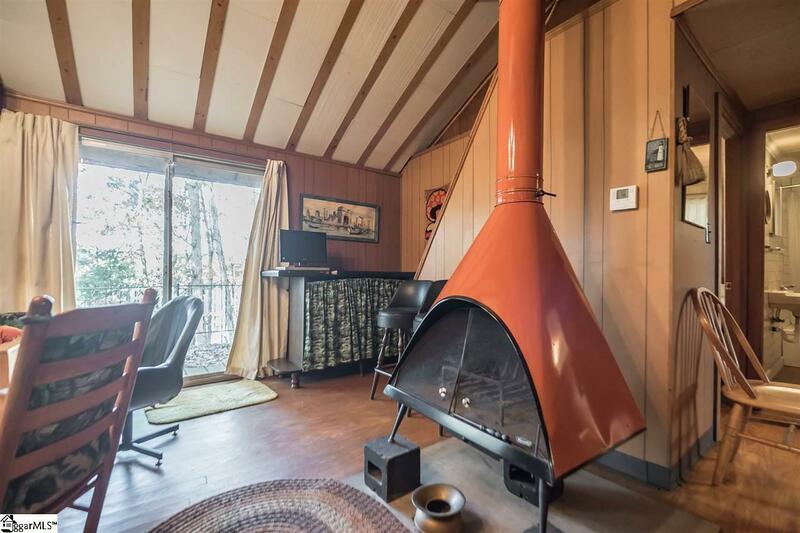 Please note that the cabin does have a propane furnace, but no central air conditioning. The seller will not make repairs to the property, but the listing agency will provide a 1 year home warranty valued at $515 to the buyer at closing.